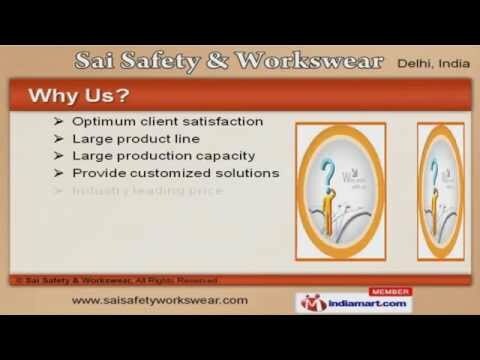 Welcome to Sai Safety & WorkswearManufacturer & Supplier of Hand Gloves and Safety MasksThe company was incepted in the year 2005. Our stringent quality checks & excellentlogistics make us unique in the industry. Optimum client satisfaction, customized solutions & client friendly payment options helpus to achieve an unrivalled position in the industry. We offer a splendid range of Cotton knitted Hand Gloves & Safety Masks. Our Dotted, Surgical & Examination Gloves are widely appreciated in the market. Cut Resistant & Rubber Hand Gloves offered by us are available at industry leadingprices. Our House Hold & Heat Resistant Gloves are extremely reliable. We also provide Hand Sleeves & Leather Hand Gloves that are best in the industry. Along with that we offer Hand Sleeve & Leg Guards that are a class apart.